SAN MARCOS, Calif., Dec. 14, 2017 – When Leo Rose went into management at Hollandia Dairy with a business plan to purchase new Kenworth T370s and trade out of his existing trucks, it was an easy sell. One year after taking delivery of 15 Kenworth T370s, the numbers have proved him right. Productivity is up to 100 percent utilization versus the 80 percent the dairy was accustomed to with its other truck brand. So is fuel economy – to the tune of 5 percent – along with other transportation metrics. Hollandia Dairy, located in San Marcos northeast of San Diego, was founded by the de Jong family, who emigrated from Holland. 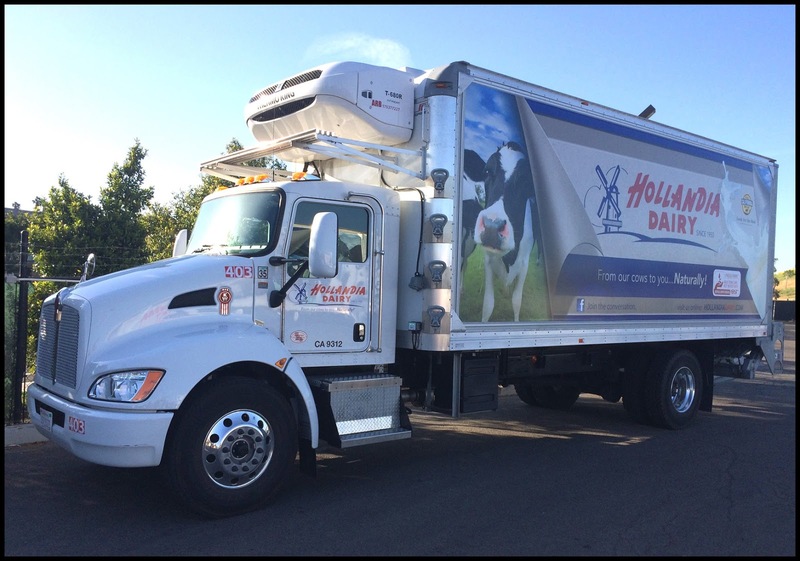 Since 1950, Hollandia Dairy has provided milk, juice and cultured products to the families of Southern California. Today, the dairy’s customers include retail, schools, and other institutions. 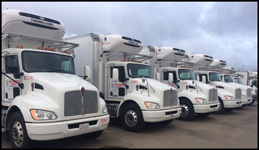 Operating a fleet of medium duty trucks and Class 8s – including Kenworth T680s that just went into service, the dairy is in the process of transitioning into Kenworth with a host of new specs that are making the fleet more productive. The trucks are purchased through Inland Kenworth – El Cajon. 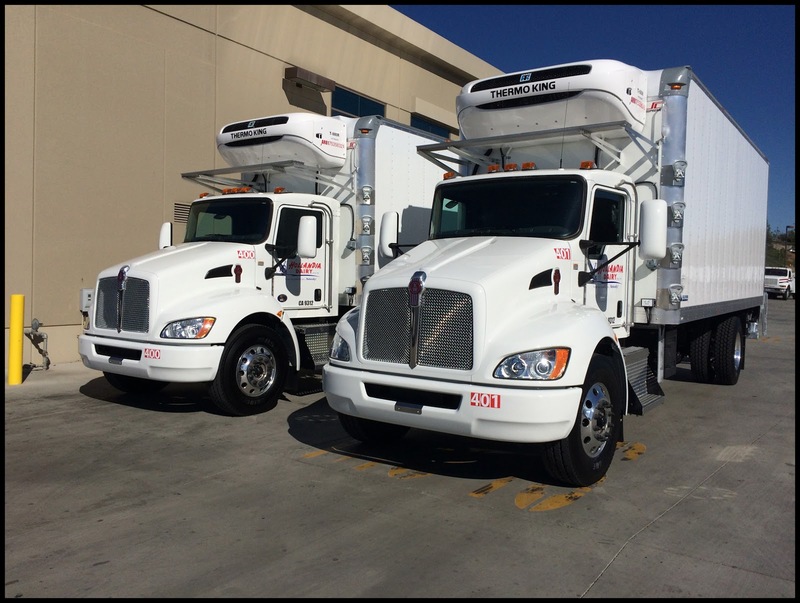 The Kenworth T370s are outfitted with 22-foot reefer bodies with liftgates. The trucks, which average about 35,000 miles per year, are operated in both single and double shifts. 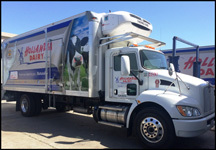 The first shift departs Hollandia at 2 a.m. and drivers typically make 25 stops, with up to 14,000 pounds of product aboard. About 20 percent of the trucks then go out for a second shift once the first shift returns around noon. The Class 8 trucks are used to move product to big box stores (typically three stops per shift), plus they haul 48-foot trailers to their northern branch, about 90 miles north of Hollandia’s headquarters, where they cross-dock, and cross-load more than a dozen medium duty trucks for deliveries. 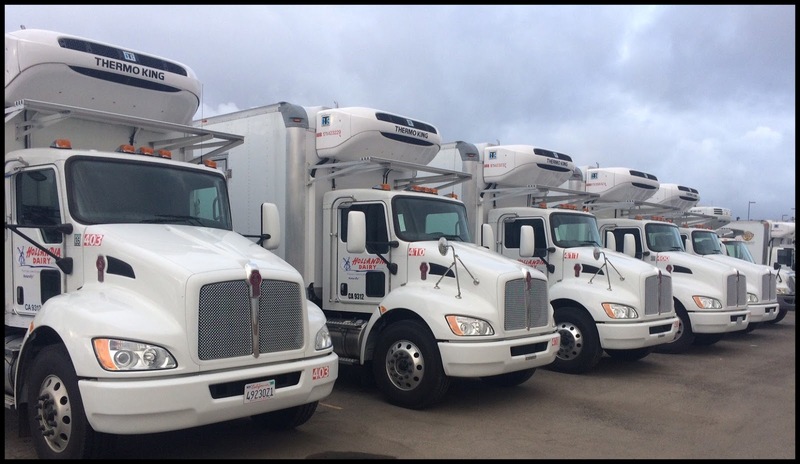 “This operation has allowed us to expand in other markets by using our trucks as distribution centers,” said Rose.